Former President Barack Obama (OMG! We miss you so much, you don’t even know!) wants to make it clear that President Donald Trump’s “Muslim ban” is not based on policy from his presidency. With regard to comparisons to President Obama’s foreign policy decisions, as we’ve heard before, the President fundamentally disagrees with the notion of discriminating against individuals because of their faith or religion. 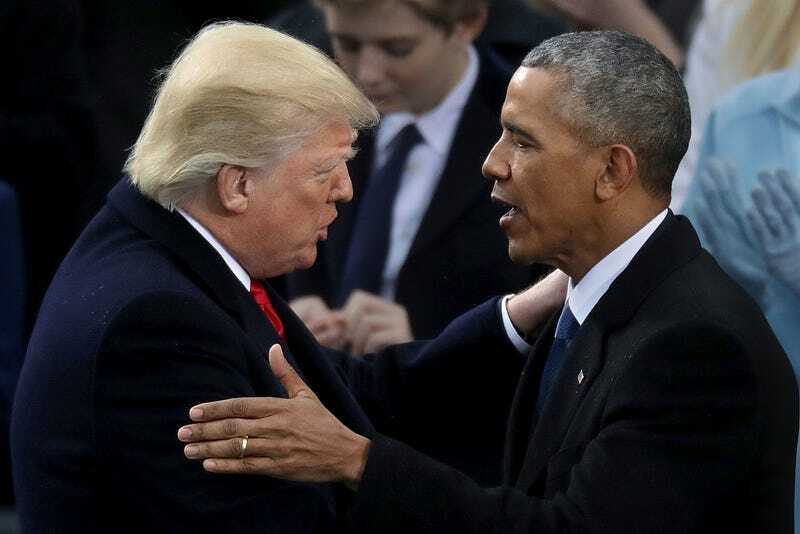 Obama also added, “Stop saying my name and let me chill.” Basically, the former president wants no part of Trump’s current policy, which bans “the entry of migrants from seven Muslim-majority countries into the U.S., and [suspends] temporarily the admission of refugees,” the Washington Post reports. Members of Obama’s administration told the Post that there was never an effort to stop awarding visas to Iraqis during Obama’s presidency.